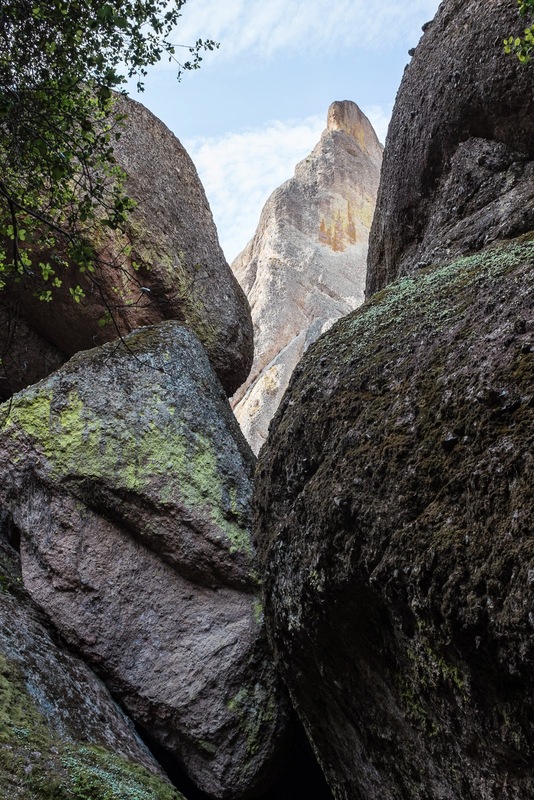 Pinnacles, formerly a national monument, is the newest national park. This has been a destination we've long wanted to see. 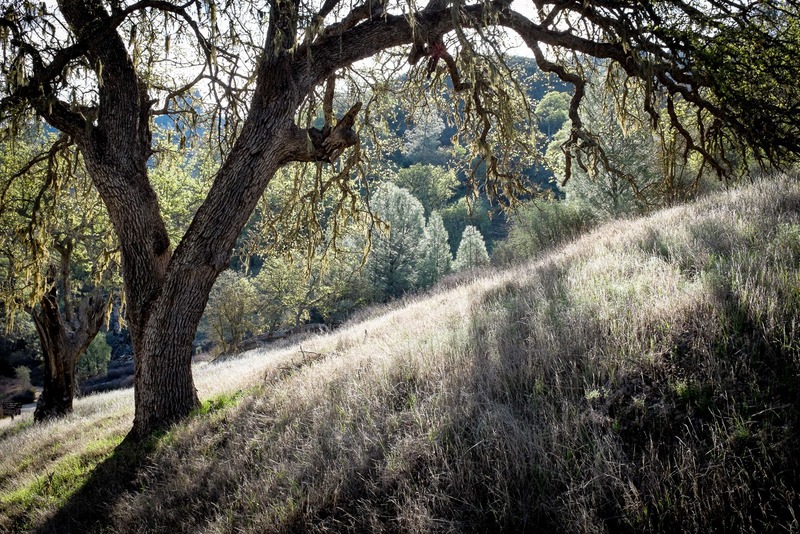 The best time to go for hiking is in early spring before the heat of summer makes it unbearable. 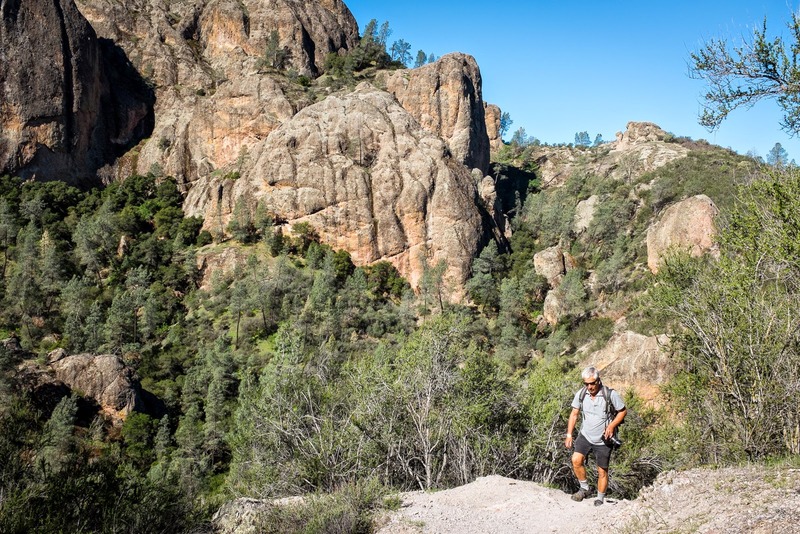 According to the park's website, "Pinnacles National Park began as a volcanic field that originated about 195 miles south of its present location. 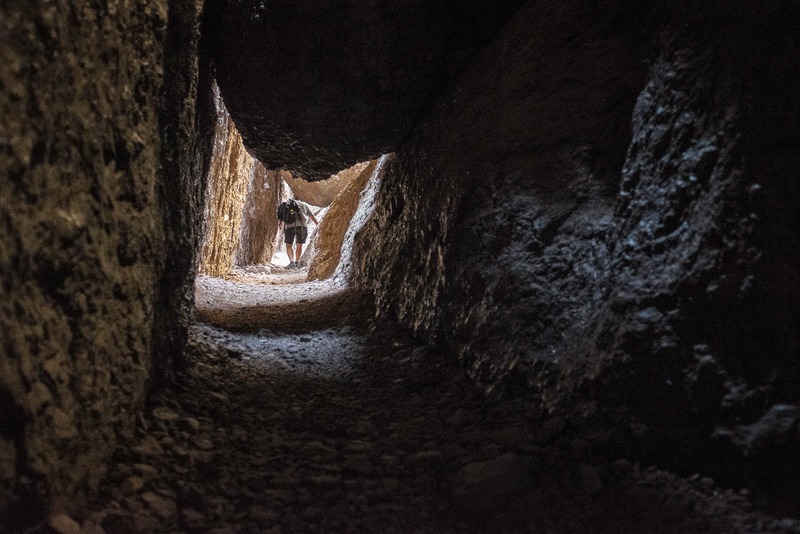 It has traveled northward along the San Andreas Fault, and currently moves at a rate of about 3 - 6 centimeters per year." So, if we were able to wait a few million years, the park would have come to us. We entered from the park's west entrance. 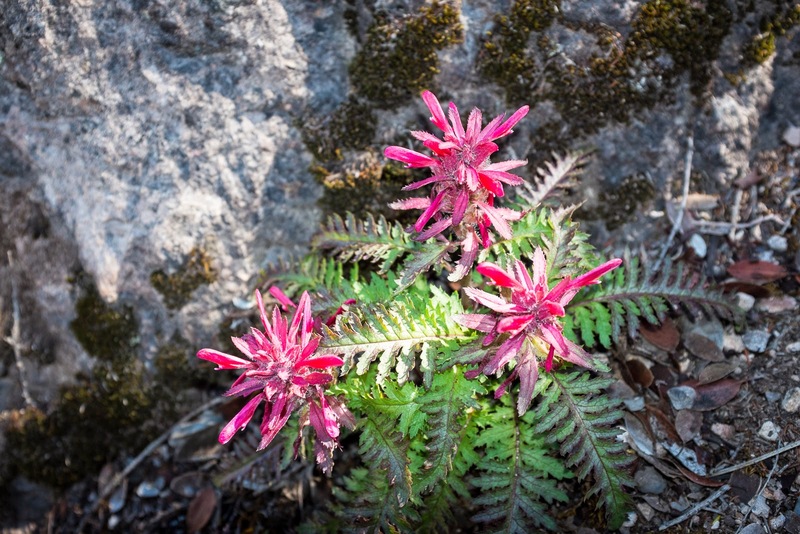 On the first day, we hiked Juniper Canyon Loop, Condor Gulch to High Peaks Loop, and went east to Bear Gulch. The total distance was about 11 miles and even though it was early April, it was hot. 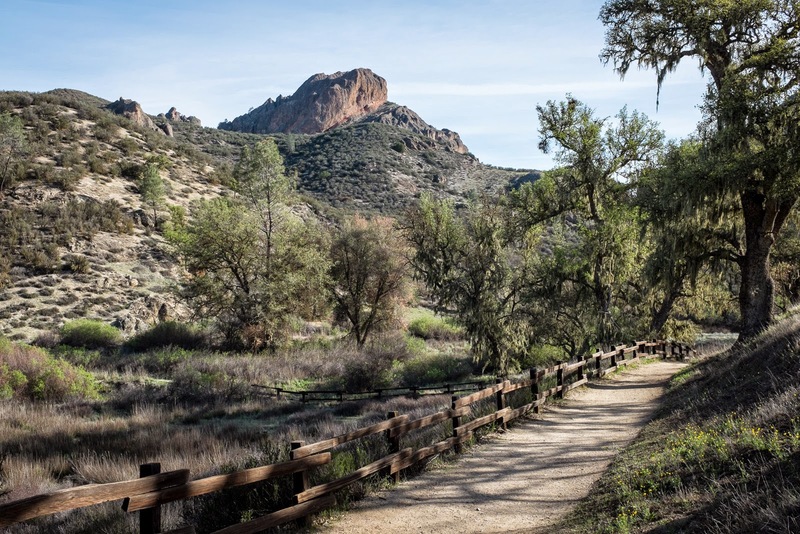 Pinnacles is also home to the California Condor. 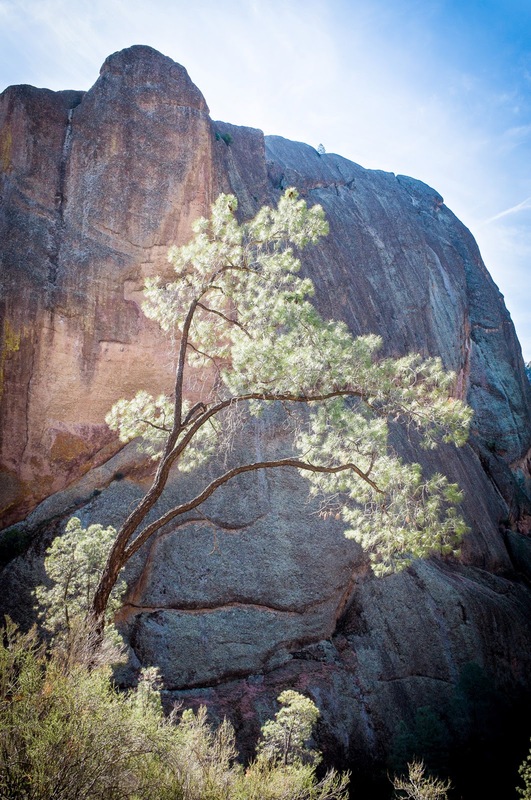 Just after taking the Juniper Canyon Loop, we saw one up close. He or she wasn't bothered at all. 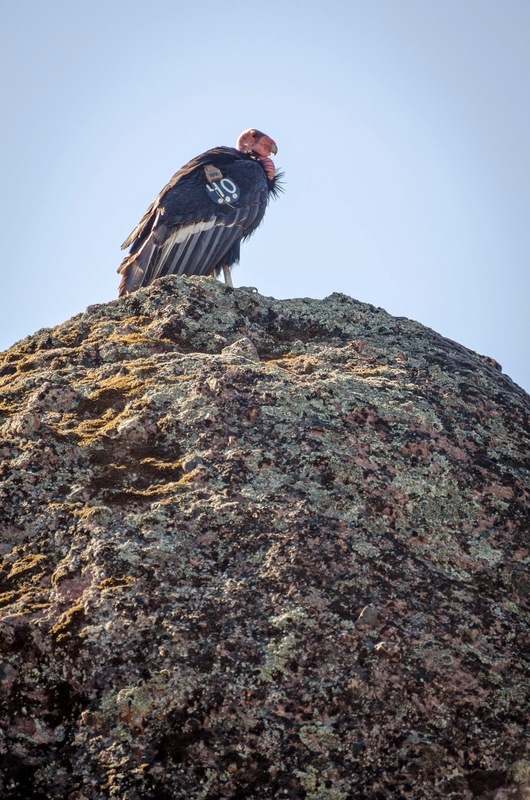 Number 340 was just sitting on a large rock near the trail probably waiting for the sun to warm its wings. 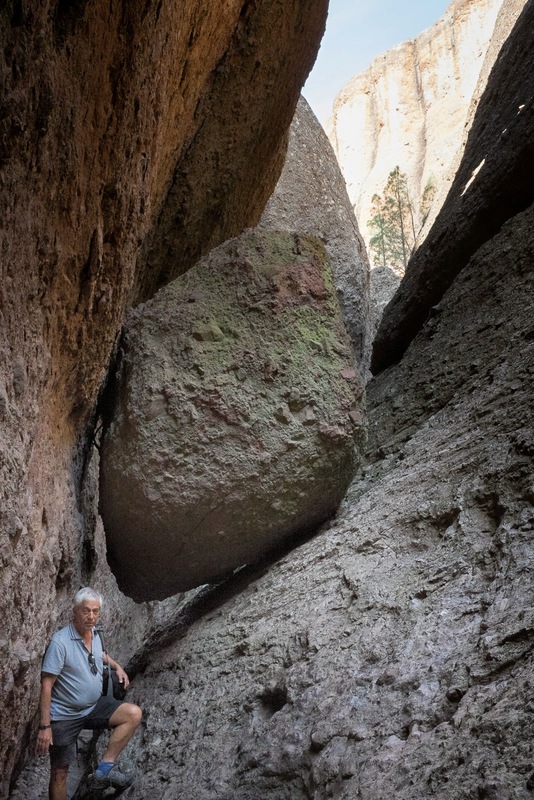 The next day, we hiked the Balconies Cliffs-Cave Loop which at 2.4 miles was a much shorter, cooler trail. The scenery on this trail was completely different. 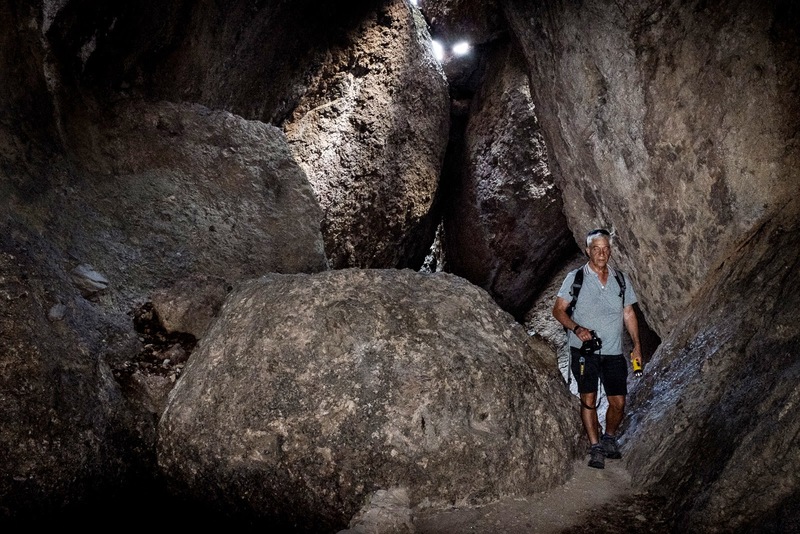 In the cave part of this trail, you must have headlamps or flashlights to see the white arrows that point you in the right direction. 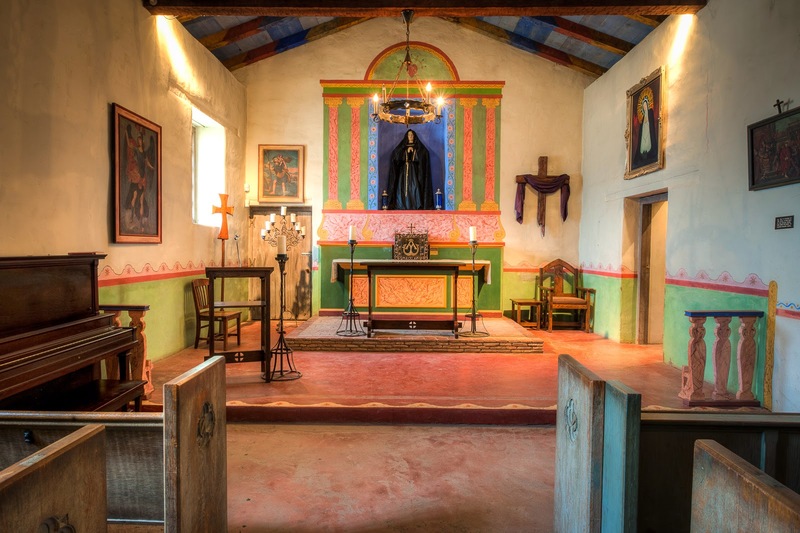 We went from the park to the nearby Soledad Mission. 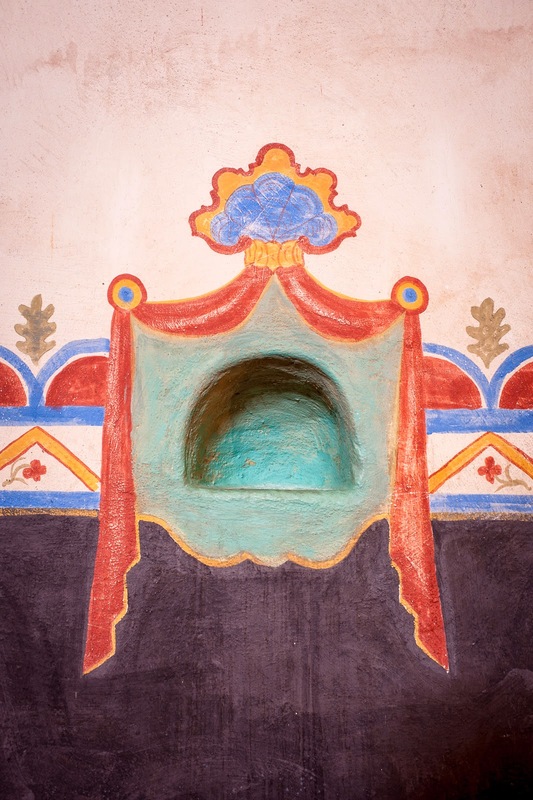 California Missions were a big part of the California history segment when I was a fourth grader. It is still included in California's 4th grade curriculum. 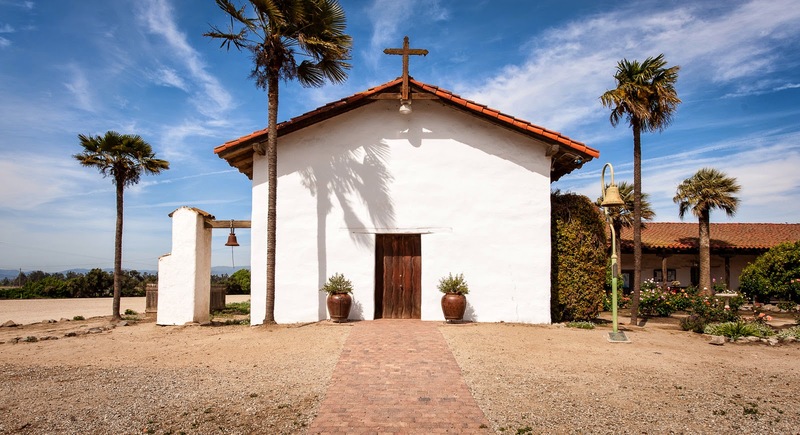 Mission Soledad was founded in 1791 and is the thirteenth mission to be founded in California. The virgin stands within a niche located at the front of the church. Above her is a heart stuck with 7 knives--one for each sorrow. At one time, the virgin was grasping a knife in her hands poised to stab herself in the heart. Over the years, the knife went missing. 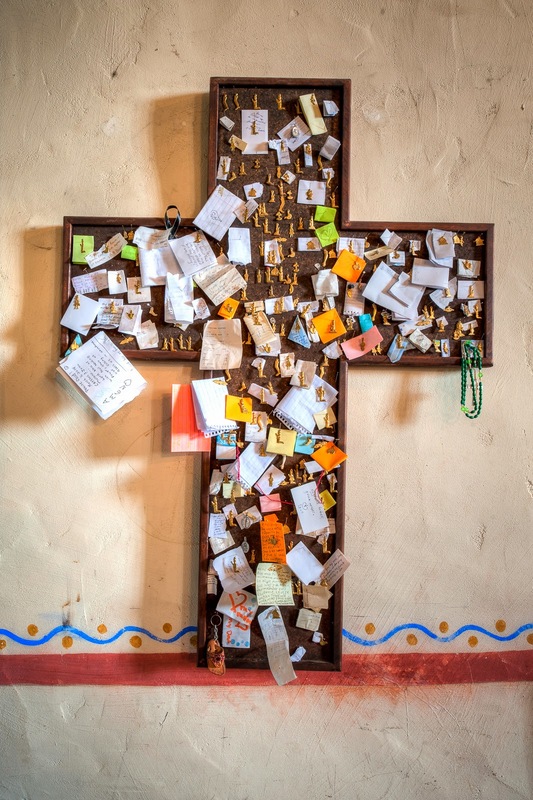 A Milagros (miracles) cross hangs in one of the alcoves. People who need a miracle place little charms and notes on this board. The charm often depicts the part of the body that needs the miracle. 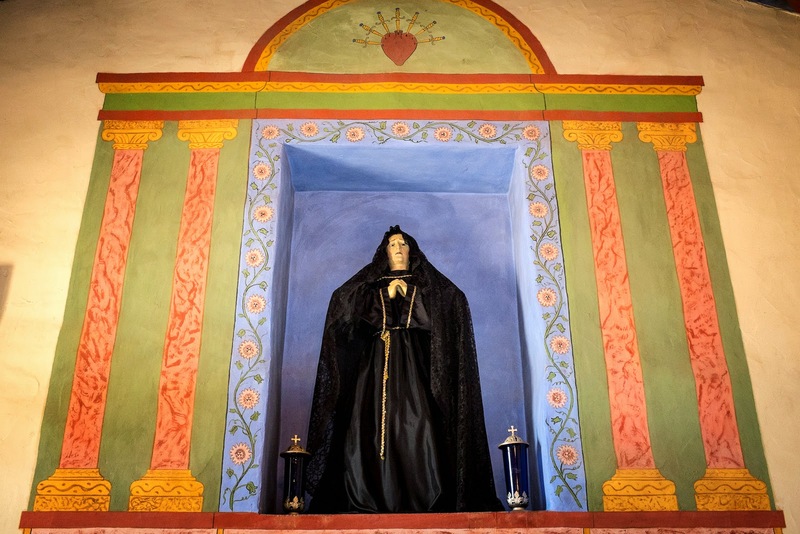 The next day, we visited another California Mission. 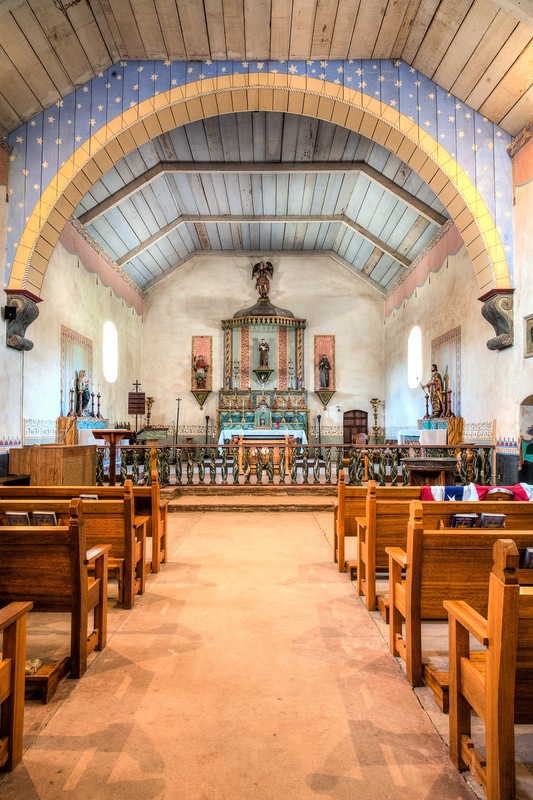 Mission San Antonio de Padua was founded in 1771 by Padre Junipero Serra. 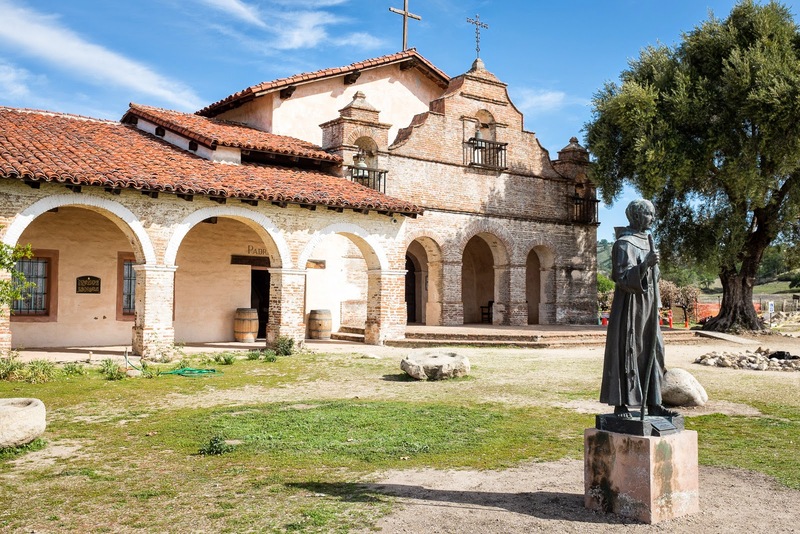 It was the third mission founded in California. 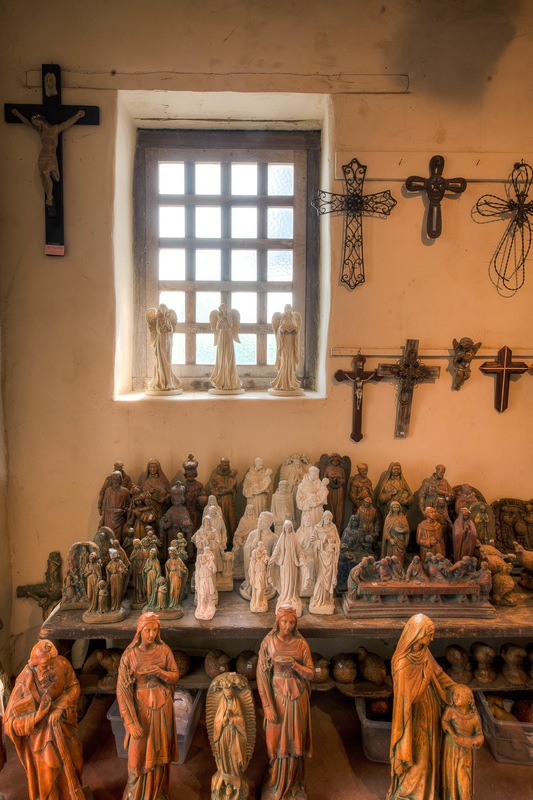 The mission has an excellent gift shop with art by area artists and it’s restored cloister has rooms available for visitors. 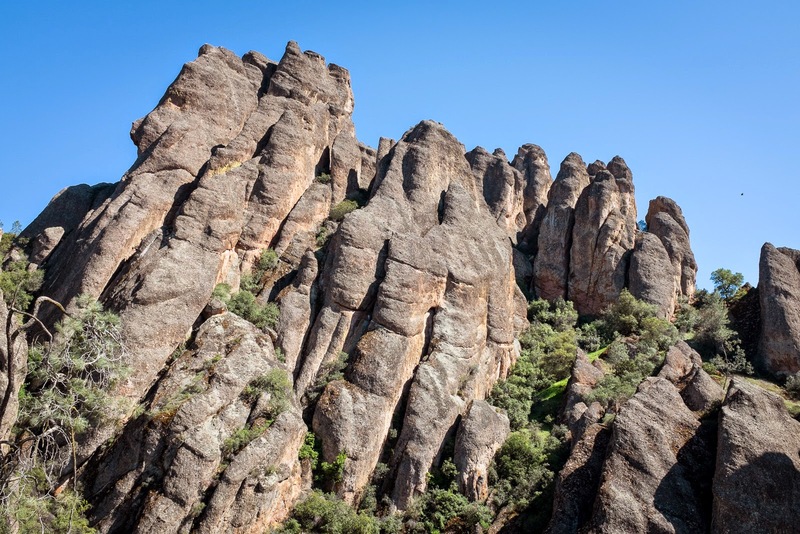 While in the Soledad area, we stayed at Inn at the Pinnacles. 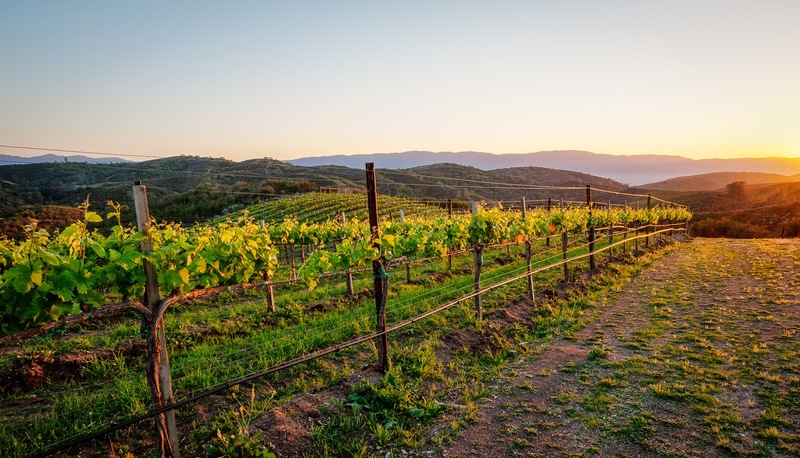 From the Inn, there is a lovely view of the surrounding hills beyond the vineyard, and it is the closest lodging to the park.